The first winner of Italy Top driver organized by Coloni Motorsport is Riccardo Massa, 25 years of Monte San Pietrangeli (Fermo). The young driver was the best among 126 competitors who competed at the end of 2018 at the wheel of the sophisticated driving simulator of the team of Passignano sul Trasimeno, with a past in Formula 1. And Massa, thanks to the initiative of the Enzo team and Paolo Coloni, will be available as soon as possible from the virtual to the real. Riccardo has various interests, not only in motorsport: Graduated in Economics and Commerce, he attends at the Sapienza University of Rome the Master Course in “Business Management”. Holding a steering wheel Massa was Italian champion 2014 of the Nissan GT Academy. Massa also has a karting experience, in the category kz3: despite a limited number of races for budget reasons, it has been highlighted as conquering podiums and victories. Riccardo uses at Logitech g27 device from home, with which he successfully participates in exports events. In addition to the Nissan GT Academy, it was highlighted in the Porsche iRacing Cup Division 1 in 2017, while it was among the top 20 McLaren Shadow selection drivers, which uses the RFactor2 simulator. And even the McLaren team, starting from the virtual, looks for talents to promote on cars and real tracks. 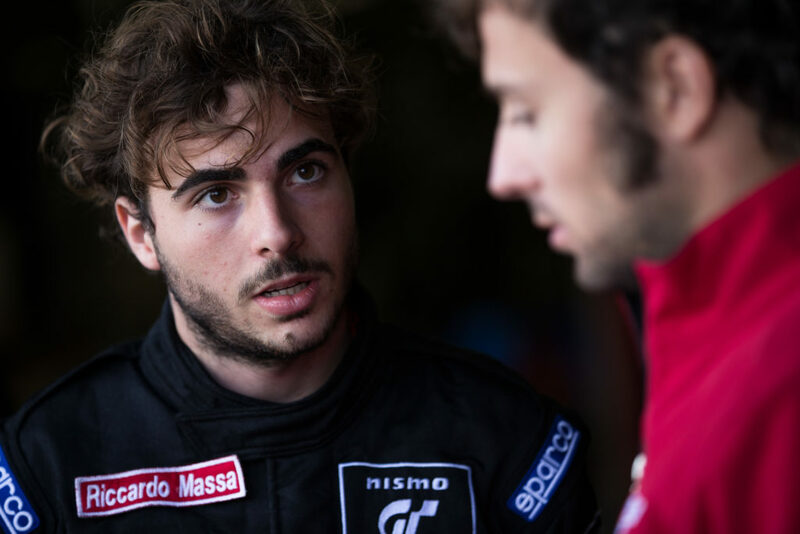 And demonstrating Riccardo’s passion for all-round motorsport is the fact that he also works as a telemeter in the KGT Racing team, active in karting on a national and international level. Paolo Coloni has supervised the simulator tests: <It was a wonderful experience, which allowed me to unify the various experiences gained in motorsport: driver, instructor, team manager of the Coloni in various categories at the highest levels. With “Top Driver Italy”, Coloni Motorsport wanted to put motoring within everyone’s reach, which has always been considered a sport for dad’s sons, with the aim of finding talents. The initiative will have a growing following and I would like – adds Paolo Coloni – that institutions, companies in the sector and media understand this message, giving all the support it deserves>. Top Driver Italy 2018, in addition to Massa who has been excelled in absolute, has proclaimed 2 other winners: Riccardo Bechelli of Sassuolo, class 2002, was the best driver under 18, while among the girls the queen was Alizè Piana di Lecco, born in 2003. Shortly, at Magione track, Massa will test in Formula 3 with Coloni Motorsport.